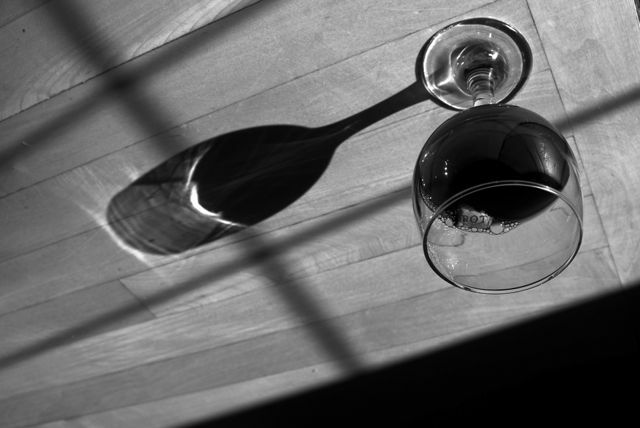 As I was looking at the wine glass on the floor in the light and shadow I pondered about the layers of knowledge, discovery, and skill, that all lead to cultivated, harvested, fermented grapes being held in a container made of sand upon the surface comprised of trees. We live in a wonderland and often don’t know it. Even though we don’t have flying cars like the Jetsons showed we would, nor Rosie the Robot Maid, I still think living in the future is amazing. What a profound post, Jordan! What a cool way to look at something totally different that I have ever looked at it before!